Apparently being born in the 21st Century and having geeky parents means you learn to operate all manner of technological devices before your first birthday. I guess Astrid has always seen us using computers, laptops, tablets and smart phones and she doesn’t comprehend a world without them. In fact, she finds it odd that my laptop doesn’t have a touch screen (unlike our phones or her dad’s tablet) and is constantly swiping at it trying to get it to ‘change’. 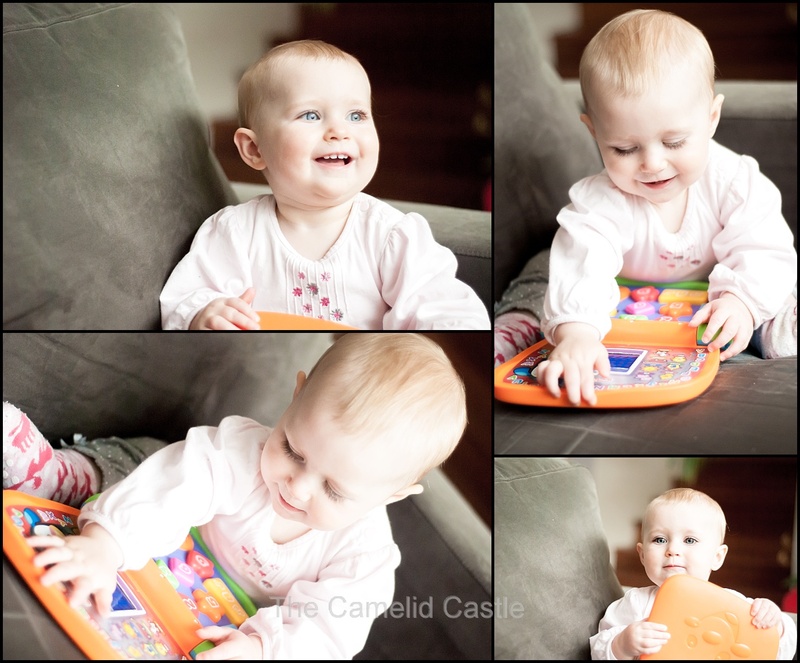 When she was 6 months old she got a toy laptop from her great-grandparents, in a vain attempt to get her to leave our computers alone. 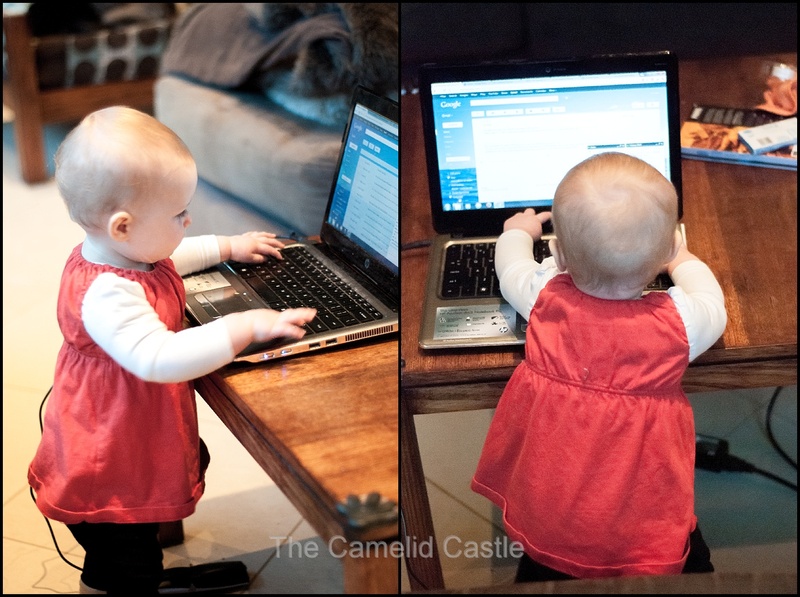 Well, she has always loved ‘her’ laptop but it’s nowhere near as fun as mum and dad’s. She is constantly playing with our computers. She often emails random people from mine. Changes my font settings. Is obsessed with turning caps lock on and manages to open things I didn’t know existed. She also ‘chats’ to her dad in gmail. One day her chatting will make sense but for now he can usually tell when Astrid is helping as it makes slightly less sense than I normally do. Posted in Astrid, baby, computer, kids, technologyBookmark the permalink.